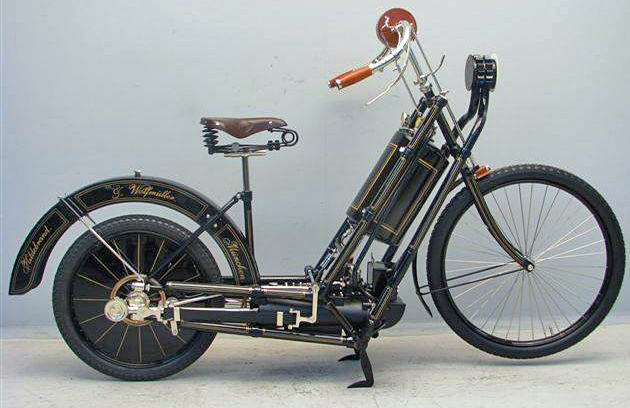 There are some who would argue the 1894 gas powered motorcycle, the Hildebrand & Wolfmüller, was the poster bike for the 1894 Motorcycle Awareness Month campaign. However, there is no material fact to back that claim. It might be an urban myth. 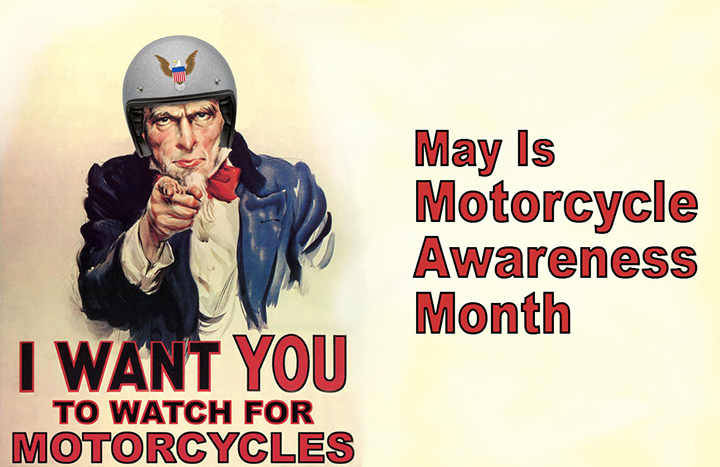 Besides, part of that awareness campaign was just to know motorcycles existed. The safety message was simple; don’t hit a cow. 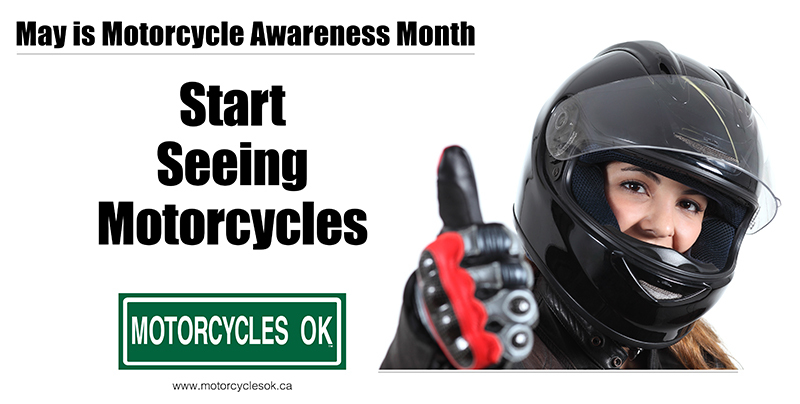 The American Motorcycle Association (AMA) generally gets a tip of the visor for the idea of Motorcycle Awareness Month. 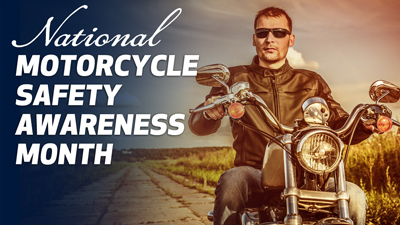 In the seventies, it was estimated about 90% of the motorcyclists involved in crashes were either self-taught or learned from friends and family. 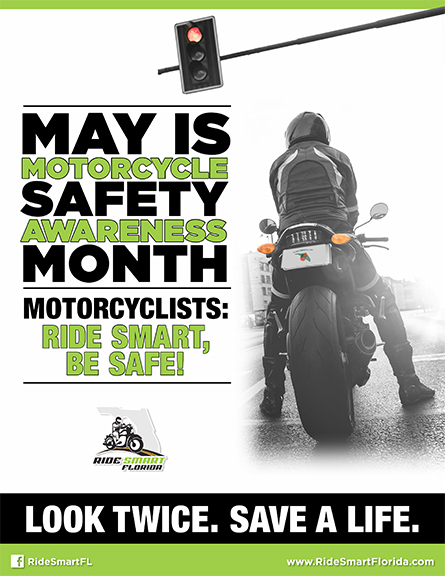 In the early eighties (circa 1982), the AMA chose May to launch the annual awareness campaign. It was then adopted by many state and federal organizations. 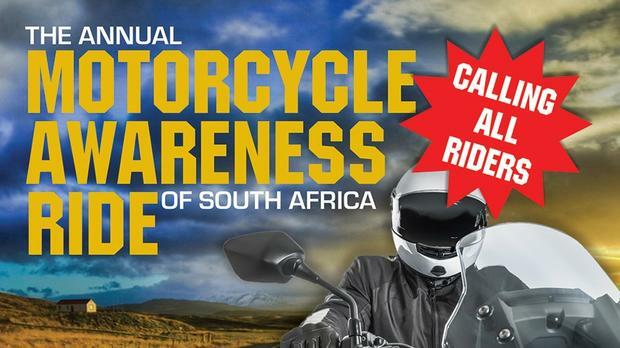 It supported increasing awareness for motorcycles sharing the road, education, training, and road safety. Along the way, there have been some interesting awareness initiatives. I like the Illinois Windshield Washing Project, which began in 1987. 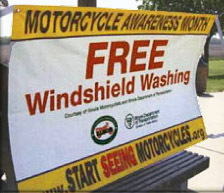 At interstate rest areas throughout the state, volunteers wash vehicle windshields and distribute motorcycle safety information reminding motorists to start seeing motorcycles. There have been a wide variety of visual approaches to the message as well. They all have their place. From the consequence approach, to some odd humour, to the classic “Look Twice” tag line. 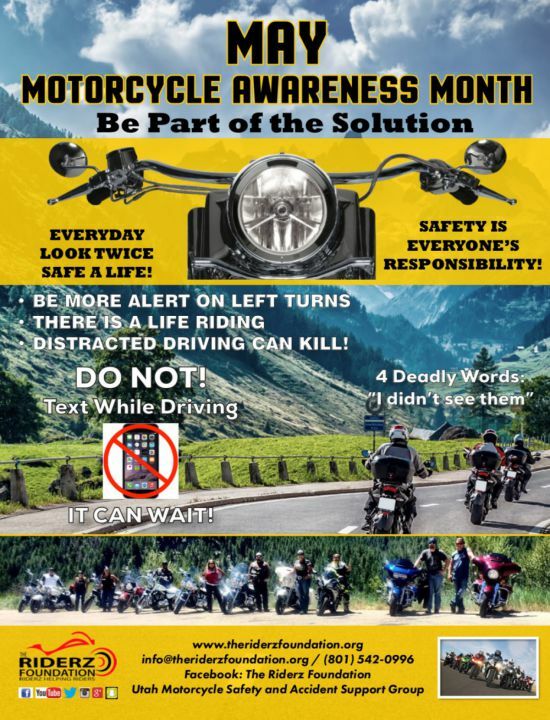 This Kentucky Motorcycle Awareness campaign logo. Okay…. You think the rider would have his hands on the grips. It might be a popular Florida stoplight pose. Florida took a different tact and mashed together a few campaigns. Not to be outdone, the Riderz Foundation added about every popular tag available. Hard to know what to make of this. Looks like someone was sitting on this idea just dying to use it. Some collectable heritage artwork. Apparently from the National Highway Safety Transportation, it was a time when safety gear was a leather jacket. 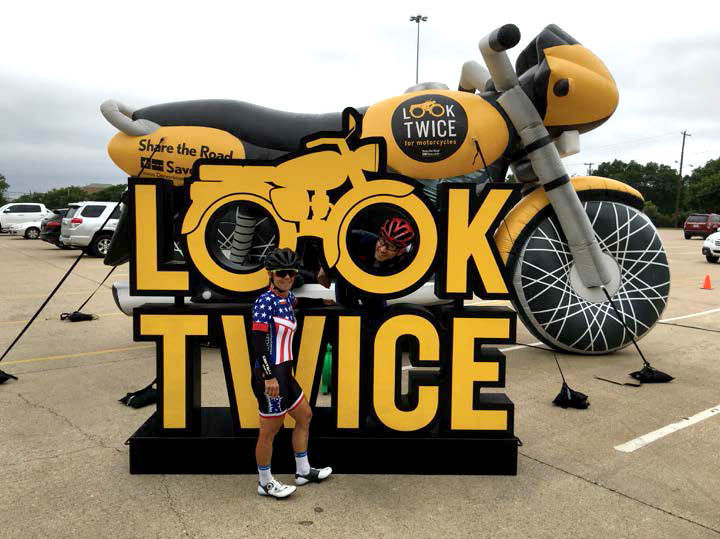 The Texas Department of Highways Motorcycle Safety Group got into awareness promotion in a big way – literally. Word from test riders is the bike handles kind of top heavy. 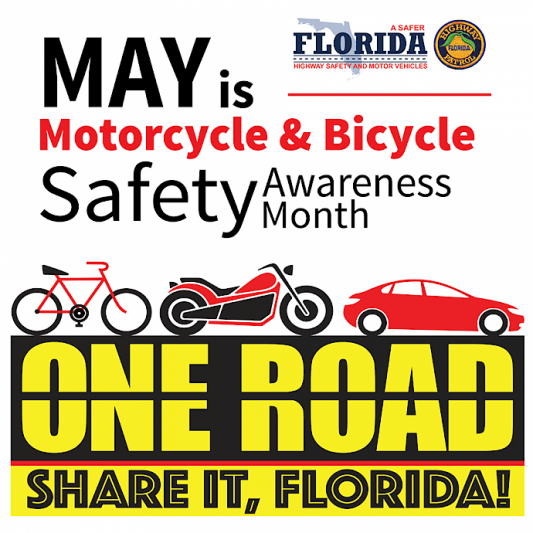 While Motorcycle Awareness Month is generally considered a North American idea, it has over the years reached global proportions. 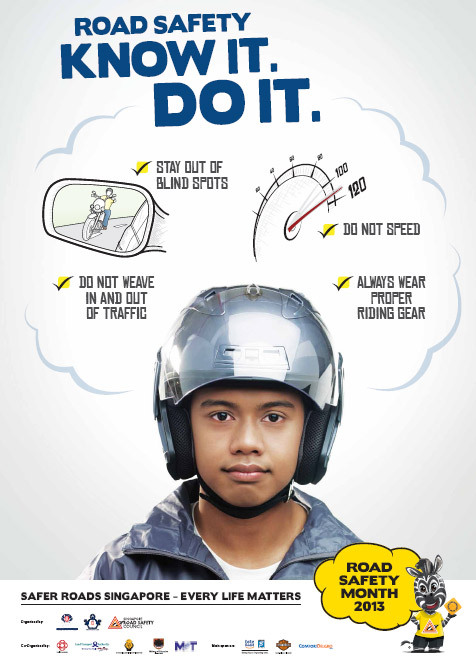 In Singapore, motorcycle crashes are apparently responsible for 54% of all deaths caused by any motor vehicle accidents. They might need more than a poster. 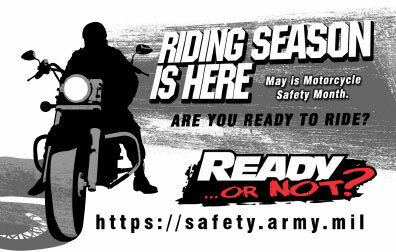 May is an important motorcycle month on military bases around the world. 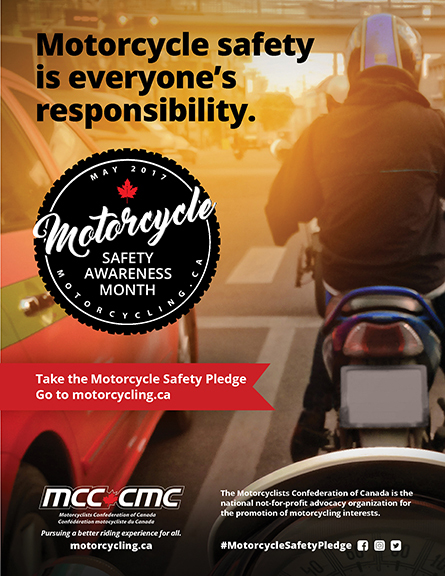 and the Motorcyclists Confederation of Canada…. 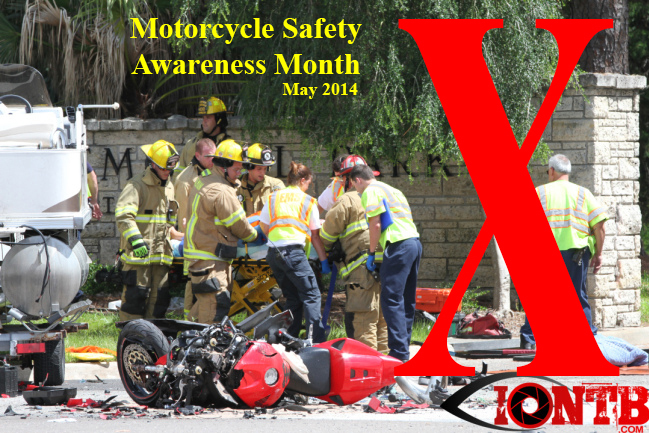 Remember: Motorcycle awareness and safety is a way of thinking. Not just a date on the calendar.